Build a business, rule the world, be money smart! 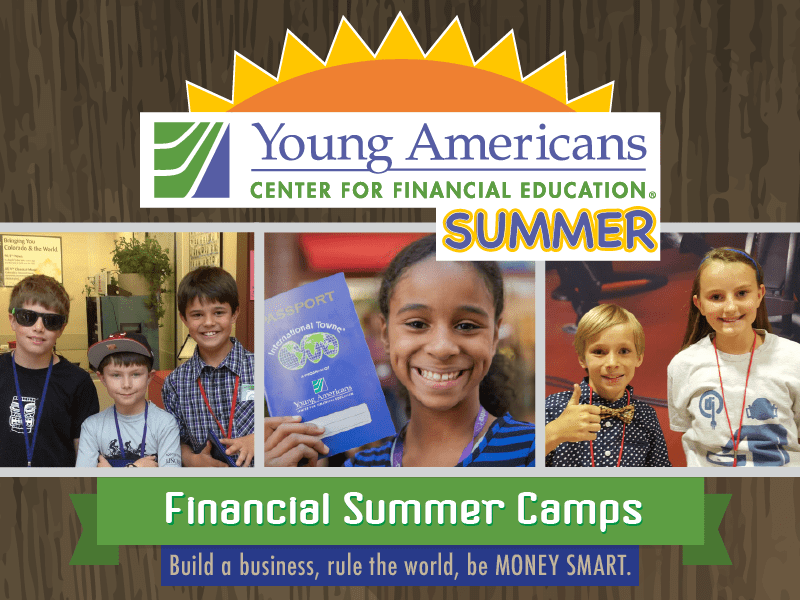 Week-long camps are typically $245* per child, per week. Financial assistance is available. Programs run Monday-Thursday, 9:00 a.m – 4:00 p.m and Friday, 9:00 a.m. – 3:00 p.m. Supervised drop-off starts daily at 8:30 a.m. Supervised pick-up is Monday-Thursday until 4:30 p.m, and Friday until 3:30 p.m.
Before you register, please read through the Refund/Cancellation Policy and other important information. Contact Programs Registration at jollie@yacenter.org with any questions. 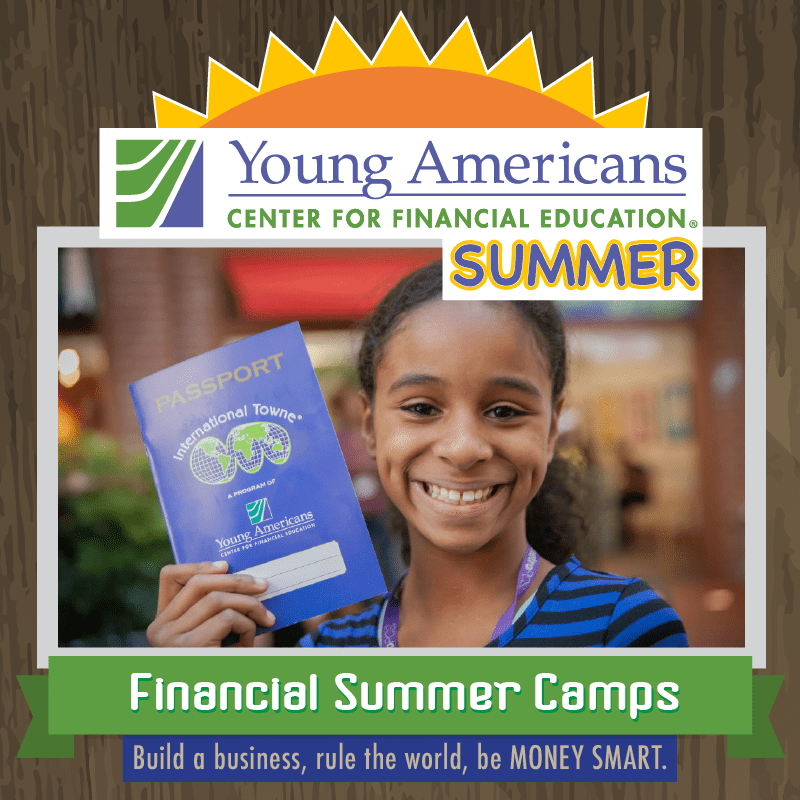 Below is a list of camps offered by Young Americans Center for summer, 2019. Camps are organized by grade. A rising 4th grader is a student who has already completed 3rd grade. Find a full list of camp descriptions here. Cancellations made prior to April 30, 2019 are refundable less a $100 cancellation fee. Any cancellations made after April 30, 2019 are not refundable and no refund will be issued. However, a certificate valid for 50% off of the cost of a future enrollment for one individual will be issued. To make any changes or to cancel registration, written notice is required and should be provided to Jeremy Ollie, jollie@yacenter.org. If Young Americans cancels a program due to insufficient enrollment, you will receive a full refund.